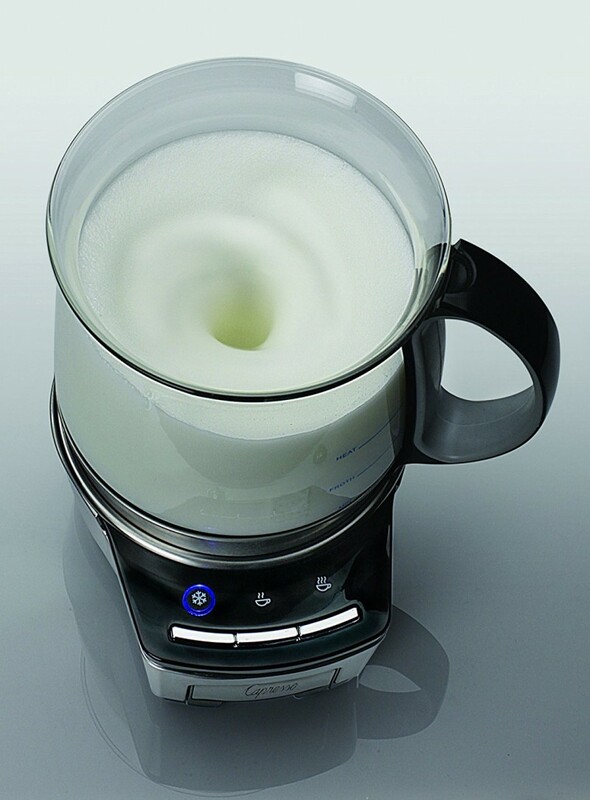 You'll love this automatic milk frother because it comes in very sizable dimensions that will work for small kitchen counters since it does not take up much space. You can adjust it by over three different temperature settings to meet your needs perfectly. 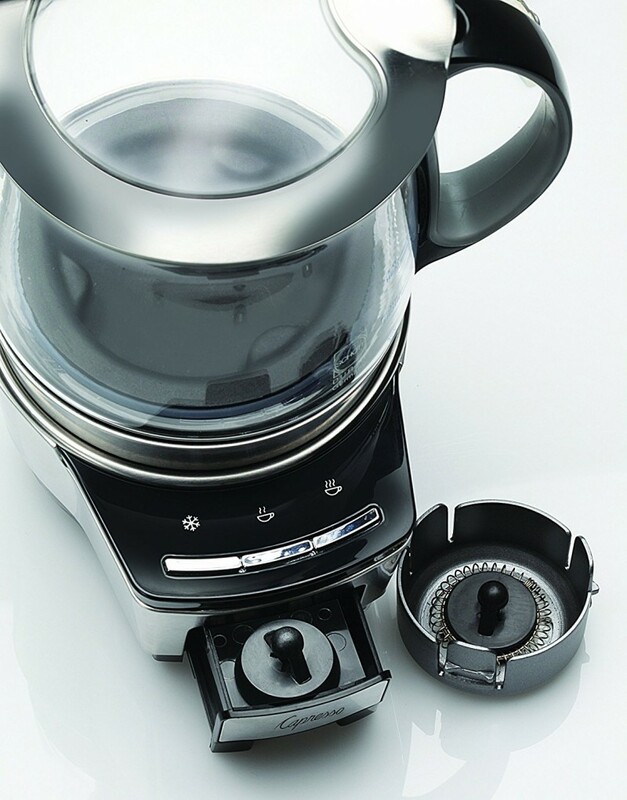 It is one of the few automatic electric frothers that come with a transparent exterior which has markings that enable you to make precise measurements. You are safe while using it since it comes with an automatic shut-off function. However, some of its parts are made of Teflon which flecks off easily raising serious health concerns and it is not ideal for frothing soy milk. 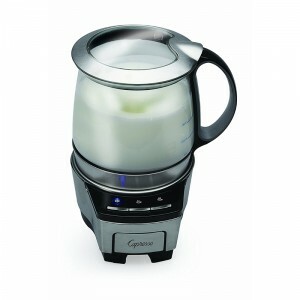 You will love it that it is very easy to set up and operate right from its illuminated buttons. It comes with sizeable dimensions which do not take up much of the kitchen counter space. You can easily detach its milk pitcher for effortless cleaning. It can be adjusted by over three different temperature ranges which will perfectly fit within your needs. You are safe while using it since it comes with an auto shutoff function which will ensure it shuts off immediately your specific settings have been achieved. It is made of a glass exterior which is very convenient since you can read the markings on it easily. Some of its parts are made of Teflon which flakes off easily raising some serious health concerns. It does not work for soy milk.